So, you are wondering how much money does Mark Zuckerberg make one second or in a day or may be in one year! Here I give you all the details of Facebook founder’s salary, perks, stocks and overall earning. The story of Mark Zuckerberg and Facebook is one of the fairy tales in the world of technology. Zuckerberg is among those people who started a technology company and then went on to make massive fortune over a short period of time. Zuckerberg’s dream run began in 2004 when he founded Facebook; which, as all of you already know, has become the world’s largest online social network. Currently Facebook has more than 1.2 billion registered users. When Facebook entered the share market in May 2012, its net worth was evaluated to be $104 billion. Now many people wonder, as founder of such a huge company, how much money does Zuckerberg earn? I am presenting the answer to you! At present the total wealth of Mark Zuckerberg is about $33.3 billion. That makes him the 16th richest man in the world. Salary of Mark Zuckerberg is just $1 per year. Zuckerberg makes varied amount of money in one day. The amount depends on the value of Facebook shares in the stock market. For example, on one fine day in July 2013, Mark Zuckerberg made $3.4 billion in one day. Like many other founder bosses of top-notch companies, Mark Zuckerberg, born May 14 1984, draws a token base salary of just $1 a year. He began to take this token salary from January 1, 2013. According to market rates, as CEO of Facebook, Zuckerberg’s base salary would be nothing if compared with what he makes through his shares in the company. So, it makes sense to completely let go of the base salary and take just a token $1. SEE ALSO: Did you know that Mark Zuckerberg is colorblind? Zuckerberg may be taking just a token base salary but he gets other perks/bonuses from Facebook Inc. For example, in 2011, he got $783,529 towards things like travel and security expenses. 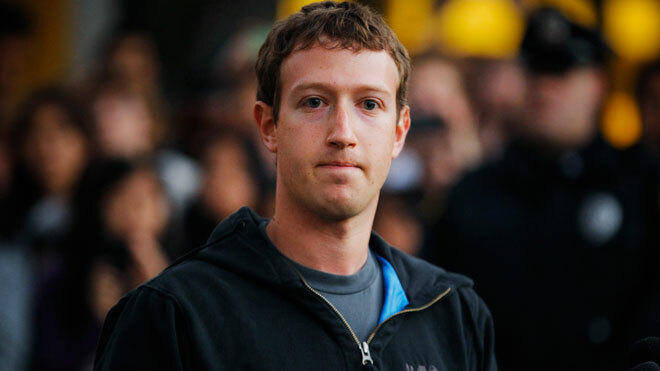 Overall money he received from Facebook Inc. in 2011 was $1,487,362. In 2012, Zuckerberg’s total remuneration (minus stocks) was pegged at $653,164, Hindustan Times said in an article. Most of this amount was given to him as personal travel allowance. He travels using a private jet plane. Facebook pays for Zuckerberg’s personal travel by private jet to make sure that he remains safe and secure. Yahoo! Finance reported in October 2013 that Zuckerberg total take home (including salary, bonuses and stocks) is $2.3 billion. He topped the list of American CEOs with highest pay-package. According to Celebrity NetWorth, at present, Zuckerberg’s wealth is over $33.3 billion. As I said before, his “salary” is totally insignificant in front of this humongous billion-dollar figure. In March 2013, his worth was $13.3 billion; so, in less than a year, he earned more than $16 billion. How much money does Mark Zuckerberg make one day? Mind you, all this billions of dollar wealth is digital money. It does fluctuate. Net worth of billionaire people do see sudden ups and downs. Forbes reported that right after Zuckerberg declared second quarter earnings of Facebook Inc. in July 2013, the value of a Facebook share got increased by $1 and FB stock closed at $34.36 per share. This change spiked the Facebook founder’s wealth by $3.4 billion in just one day! There are days when these ultra-rich folks earn billions and, on bad days, they could as well be on the losing side. Mark Zuckerberg married his long-time girlfriend Dr. Priscilla Chan on May 19 2012, just a day after Facebook’s shares went public. By the virtue of being wife of Zuckerberg, today Priscilla Chan’s monetary worth in over $14 billion. She is a medical doctor and despite her enormous wealth, she is planning to begin her career as a pediatrician. I hope this was the information you were looking for. Now you know how much money Mark Zuckerberg makes! Thank you for using TechWelkin! Last updated: 23 September 2017 | Published on: 2 April 2014 | Authored and Edited by: Lalit Kumar and Team | Filed as: Home » Social Media » Facebook » How Much Money Does Mark Zuckerberg Earn?